Secret Lake Park Recreation Center, located at 200 N. Triplet Lake Drive, now has a kayak rental concession. Our kayaks are conveniently located at the boat ramp on 200 N. Triplet Lake Drive (east of the parking lot area). All residents must provide proof of residency in the form of a drivers license or a utility bill with a current address. Water vessel rentals are available at the center Monday thru Friday 8:00 a.m. - 3 p.m. For weekend rentals, you must reserve your kayak by 4:00 p.m. on Thursday. For more information, please call 407-262-7700 Ext. 1575. 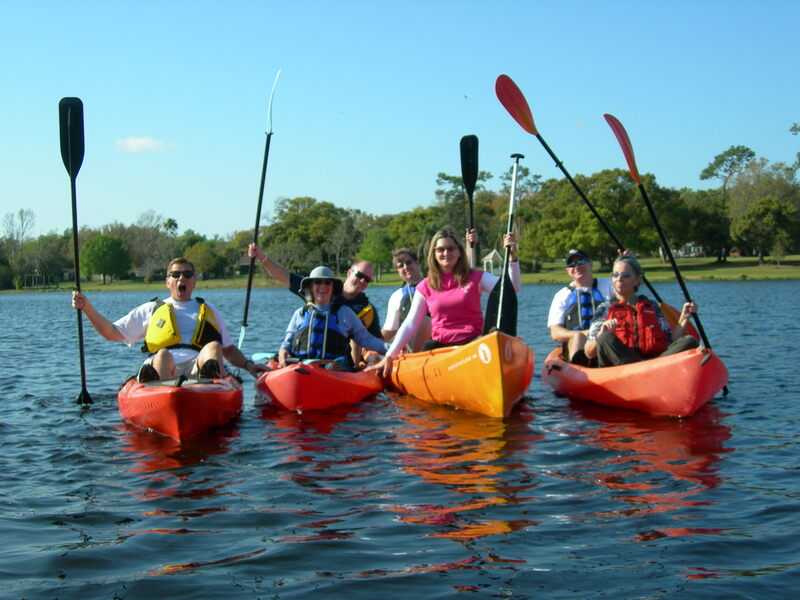 Kayak reservations must be made in person at the Casselberry Recreation Center located at 200 N. Triplet Lake Drive between the hours of 8 a.m. and 3 p.m.
Kayaks may be rented for hours 9 a.m. until 4 p.m., Monday thru Sunday. All weekend rental reservations must be made in advance. No verbal agreements for use of canoe and kayak equipment shall be made, nor in any way binding. In addition to the Kayak rental application, all reservations also require the signing of a hold harmless agreement by the reserving party. Kayak pickup and drop-off will be at the designated Secret Lake boat launch area only. City requires that all children under the age of 18 be accompanied by an adult. At least one person in a tandem kayak and canoe must be 18 years of age. Maximum capacity of a tandem kayak is 2. Two Adults (18 and up) or one adult and one child over 6 years old is permitted per tandem kayak. No children under 6 years of age are permitted to be in the vessel. All participants must wear a Personal Floatation Device (PFD) at all times. It is highly recommended that you bring your cell phone with you in case of an emergency.